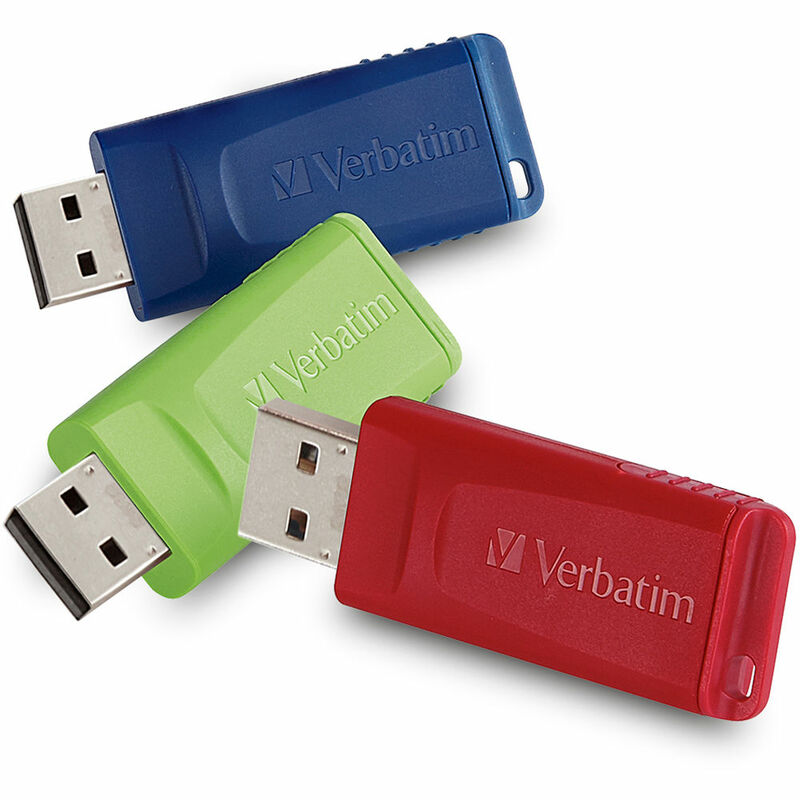 The 16GB Store 'n' Go USB Flash Drive from Verbatim comes in a pack of three drives in red, green, and blue, all having a USB 2.0 interface for a theoretical maximum data transfer rate of 480 Mb/s. Easily store and transfer files with these compact, portable devices, each of which has 16GB data storage capacity. A retractable USB connector means there's no cap to worry about losing. Windows users can take advantage of downloadable password protection software to safeguard sensitive data. Box Dimensions (LxWxH) 7.0 x 5.0 x 0.8"